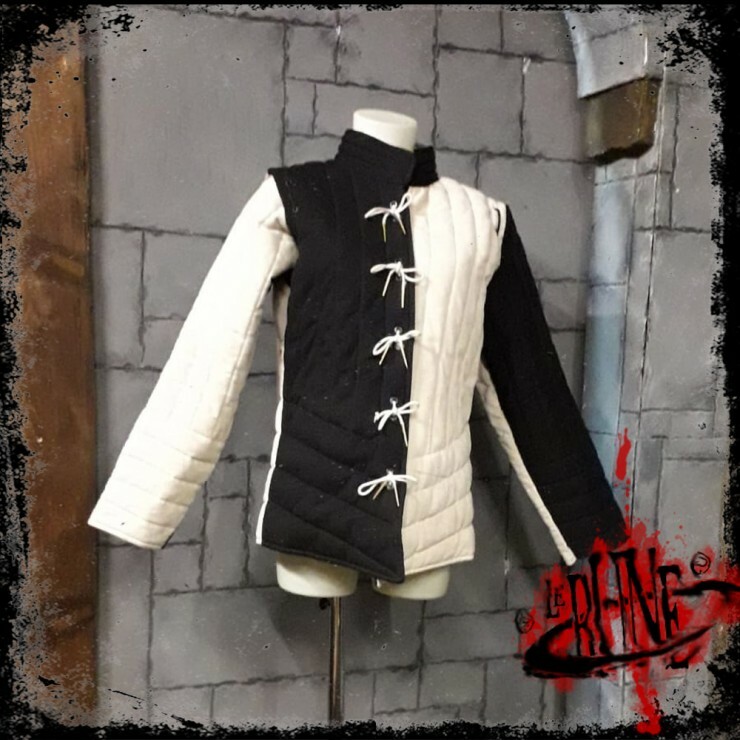 The Inigo gambeson doublet is a padded long-sleeve coat covering the torso from neck, down over the hips on front and back. It can be worn on its own or serve as essential padding under mail or armour. The gambeson is closed on the front with a system of cotton strings. The sleeves are detachable, and fixed to the shoulders with cotton strings.